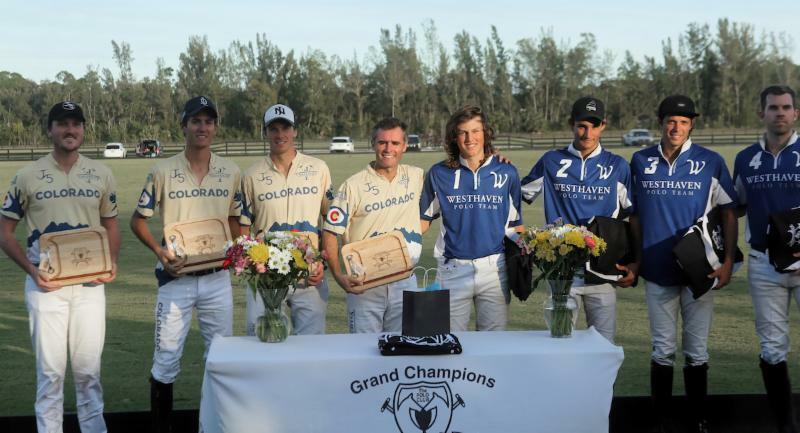 Playing together for the first time as a team during the 12-goal season, Colorado won its first Limited Edition Series game Saturday at windswept Valiente Polo Farm. 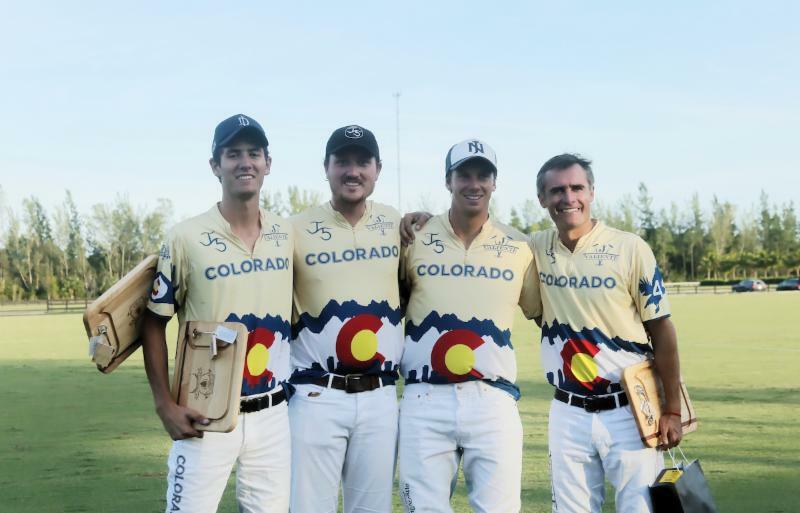 Colorado winning teammates Bautista Panelo, Rob Jornayvaz, Nick Johnson and MVP Robertito Zedda. 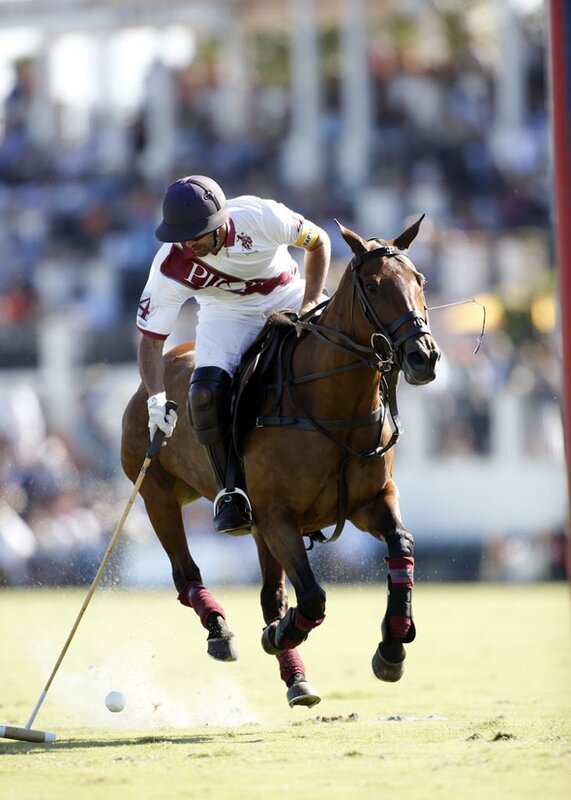 Trailing by as many as four goals in the second chukker, Colorado (Rob Jornayvaz, 2, Bautista Panelo, 3, Nick Johnson, 3, Robertito Zedda, 4) rallied for an impressive 11-9 victory over Westhaven (Lucas Escobar, 1, Segundo Boccino, 6, Pedro Falabella, 5, Max Torokvei, 0). Zedda, the field general for Colorado, was named Most Valuable Player. He scored three goals including two penalty conversions. “The last time I was MVP was a long time ago,” Zedda said with a smile. Colorado and Westhaven players with post-game awards. 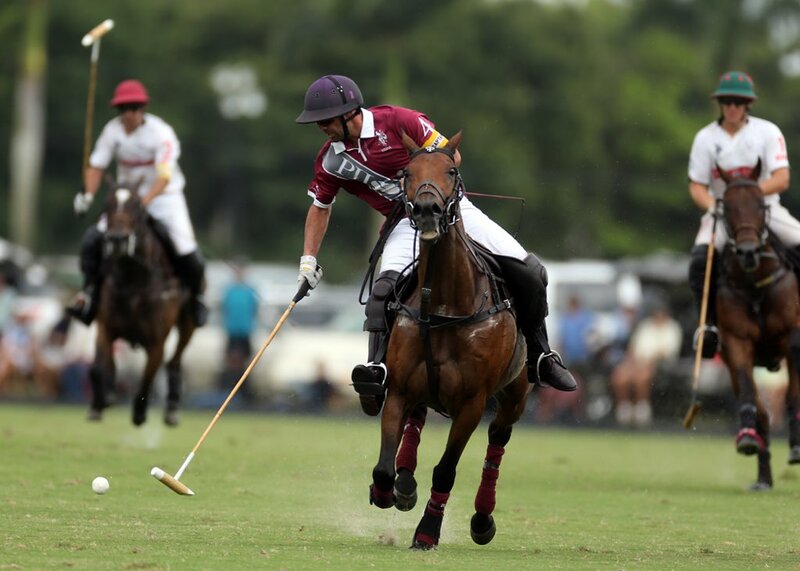 Rombo, an 8-year-old, owned and played by team sponsor Max Torokvei in the first and fourth chukkers, was named Best Playing Pony. Colorado bounced back nicely from its season-opening 13-12 loss to Patagones (Benjamin Avendano, 3, Tony Calle, 3, Santi Wulff, 5, Santiago Avendano, 1) the week before. Bautista Panelo of Colorado leans into his shot with a little help from his horse. 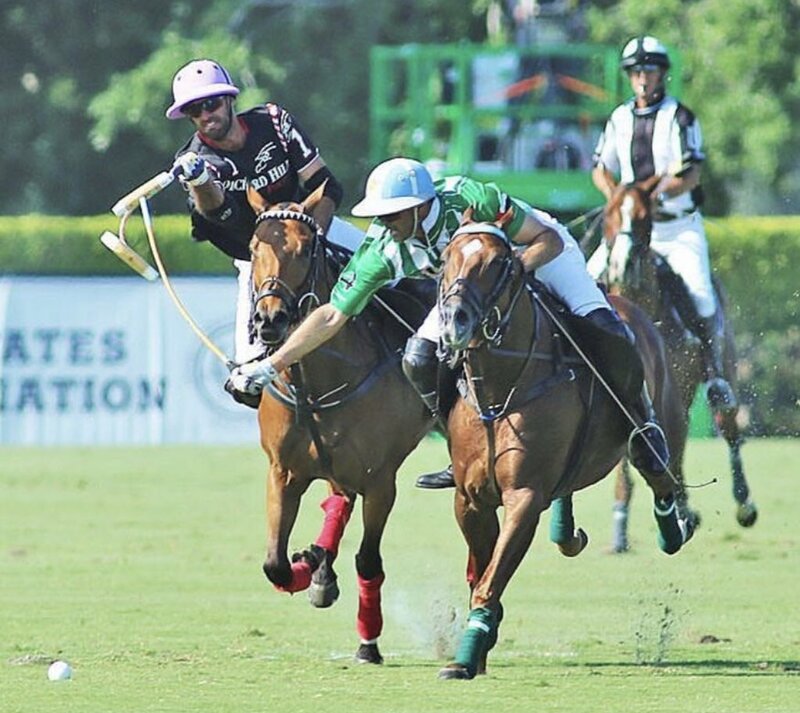 Westhaven jumped out to a 3-1 lead in the opening chukker behind two goals from Boccino and one from Falabella. 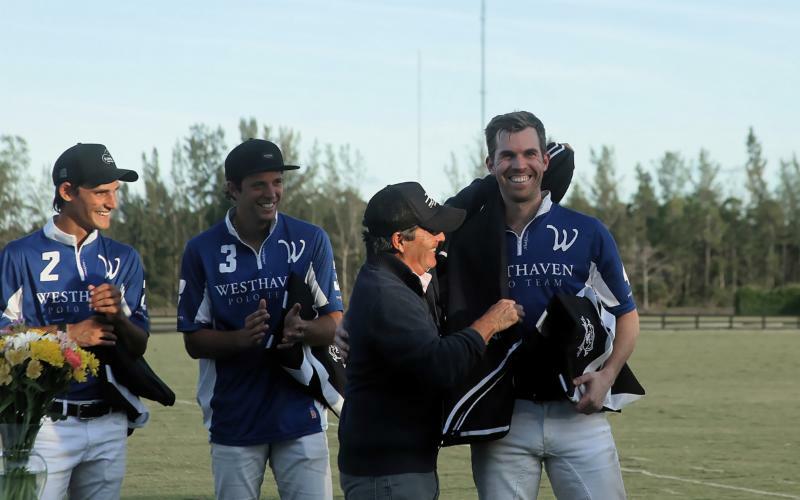 Westhaven continued to control the momentum in the second chukker with two more goals from Falabella to extend its lead to 5-2. Colorado regained its composure and rhythm in the third chukker with a goal from Panelo and penalty conversions from Johnson and Zedda to shut out Westhaven, 3-0, for a 5-5 halftime. Colorado’s Rob Jornayvaz, Bautista Panelo and Nick Johnson triple team Lucas Escobar of Westhaven. After an even fourth chukker, 7-7, Colorado shut out Westhaven again, 2-0, in the fifth chukker for a 9-7 lead with goals from Panelo and Johnson. Colorado never relinquished the lead after that. Nick Johnson of Colorado hits away as defender Pedro Folabella of Westhaven keeps his eye on the ball. Zedda also took on the role as field general, coaching and directing his young teammates during the game. Nick Johnson of Colorado grimaces as he reaches to hook Pedro Falabella of Westhaven. 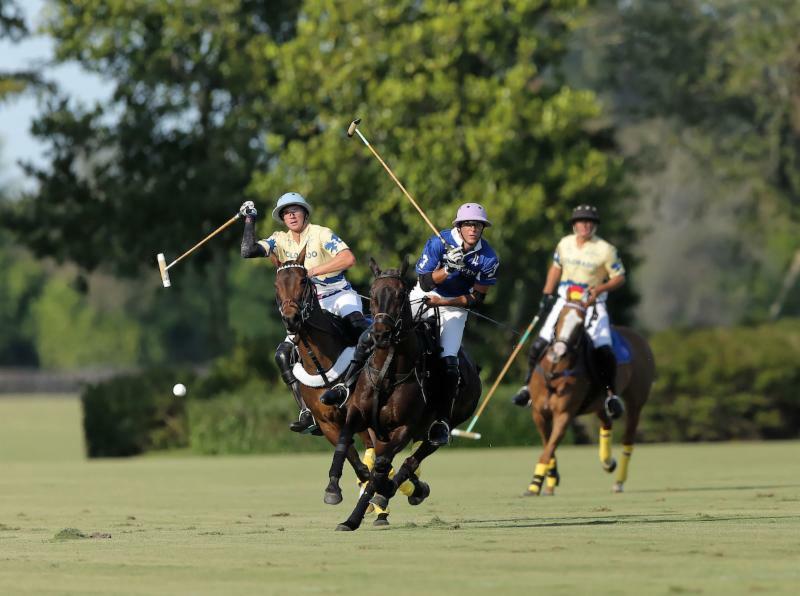 The league games are serving as a dress rehearsal for the umpire crew of inaugural World Polo League that makes its debut the first week of February. The competitive games have been action-packed, open and flowing. Bautista Panelo of Colorado scores one of his three goals. Johnson scored a game-high five goals for Colorado. Panelo, 21, one of the sport’s up-and-coming players, added three goals. 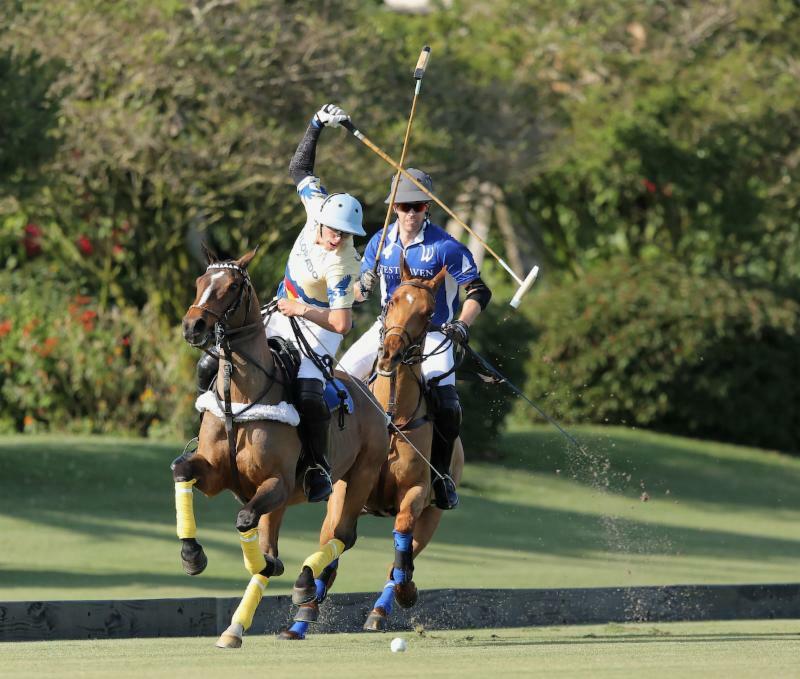 Falabella led Westhaven with a team-high five goals. Boccino had three goals and 16-year-old Lucas Escobar, playing above his rating, added one goal. Westhaven’s Max Torokvei accepts the Best Playing Pony blanket for his 8-year-old Rombo. 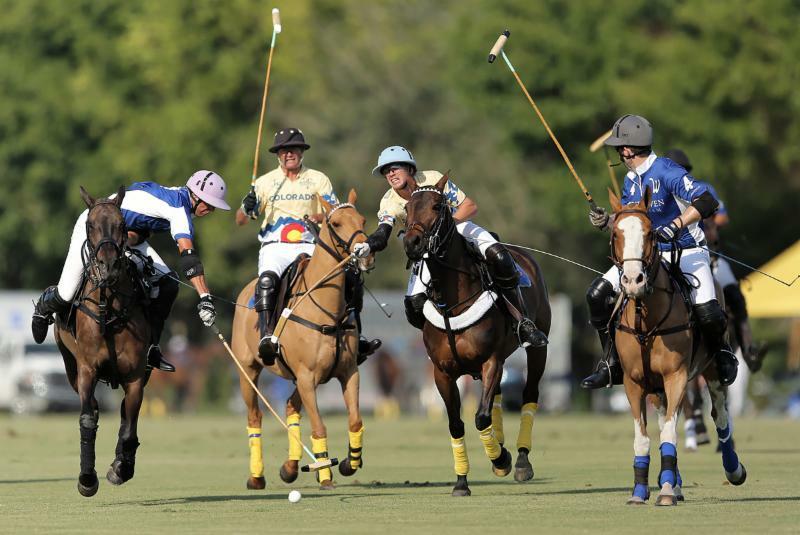 Limited Edition 12-goal action continues Sunday at Santa Rita Polo Farm at 12 p.m. with Beverly Equestrian playing Sebucan. 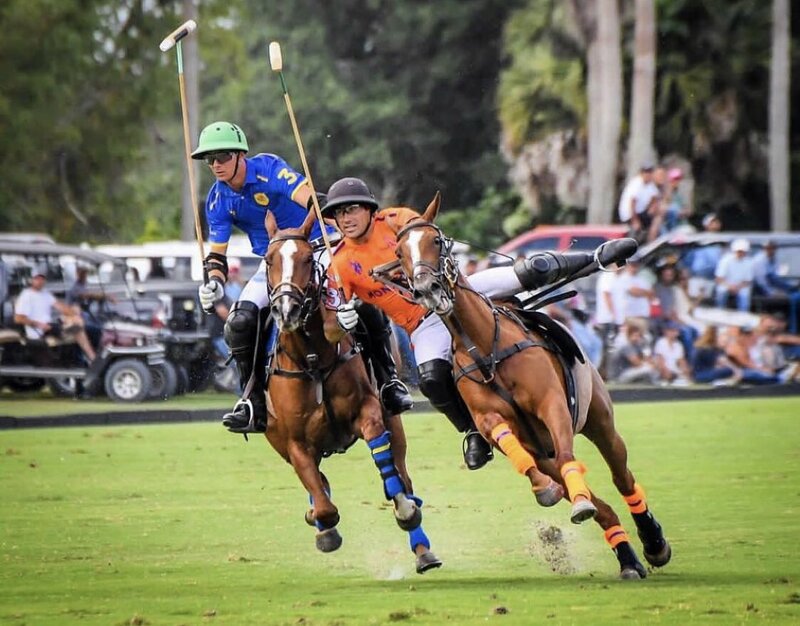 On Monday at 10:30 a.m., Westhaven plays Audi; Tuesday at 3 p.m. Palm Beach Equine plays Newport and Thursday at 10 a.m. Colorado will try to make it two in a row against Audi. 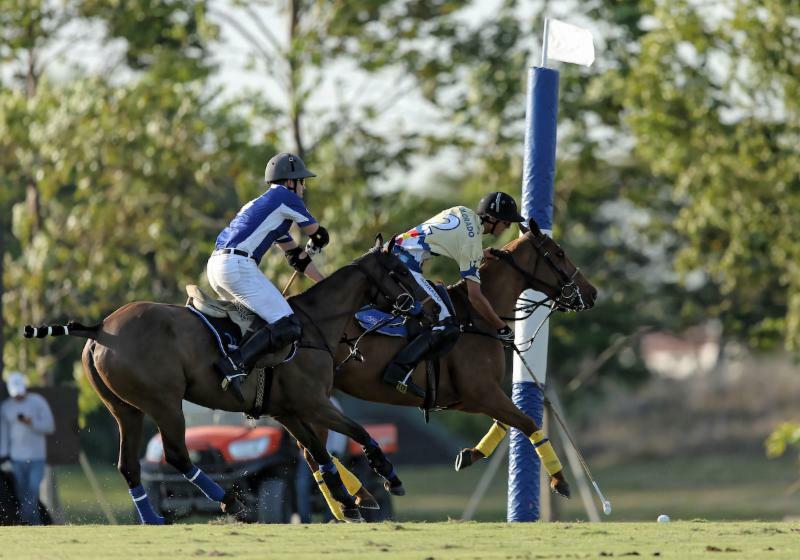 Bautista Panelo of Colorado reaches out of the saddle to hook Pedro Falabella of Westhaven. 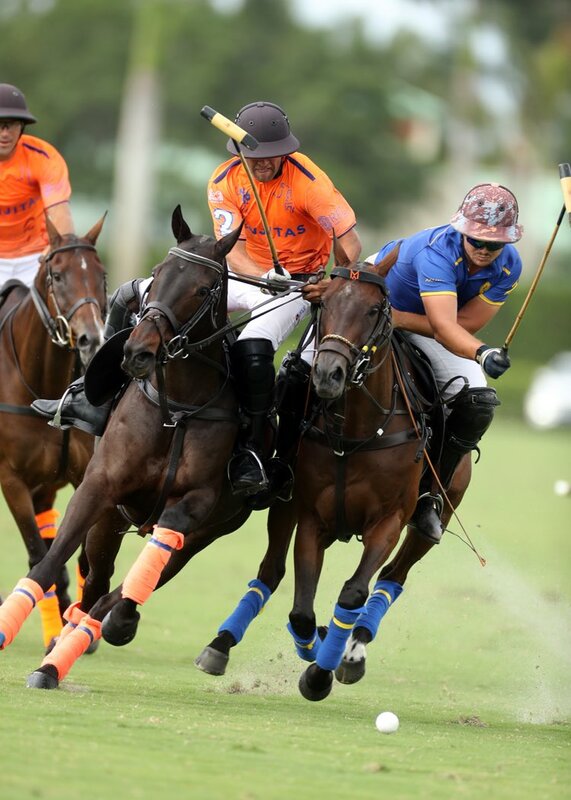 The tournaments attract a large international field of players from all corners of the world including India, Mexico, New Zealand, Costa Rica, Argentina, Canada, Ecuador, Brazil, Switzerland, France, Germany, Uruguay, Azerbaijan, South Africa, Venezuela, and England. Season highlights for 2019 are the Jan. 26-Feb. 9 Sterling Cup, March 1-31 $50,000 National 12-Goal Tournament, March 1-16 John T. Oxley Memorial and March 3-24 $100,000 World Cup Tournament, a unique 0-40-goal, winner-take-all, single-elimination tournament. Nick Johnson of Colorado works the near side shot with Max Torokvei of Westhaven defending. 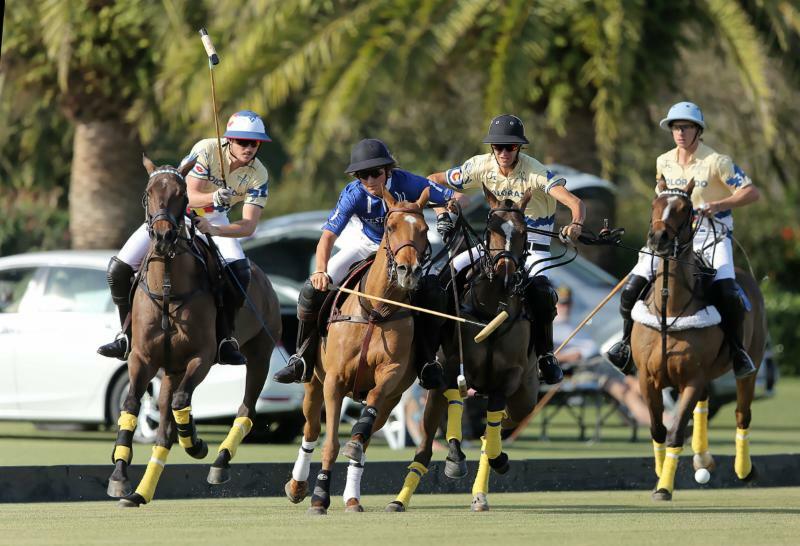 The biggest highlight of the season is the debut of the World Polo League, the nation’s only 26-goal league featuring some of the world’s top players and team sponsors at Grand Champions and Valiente. 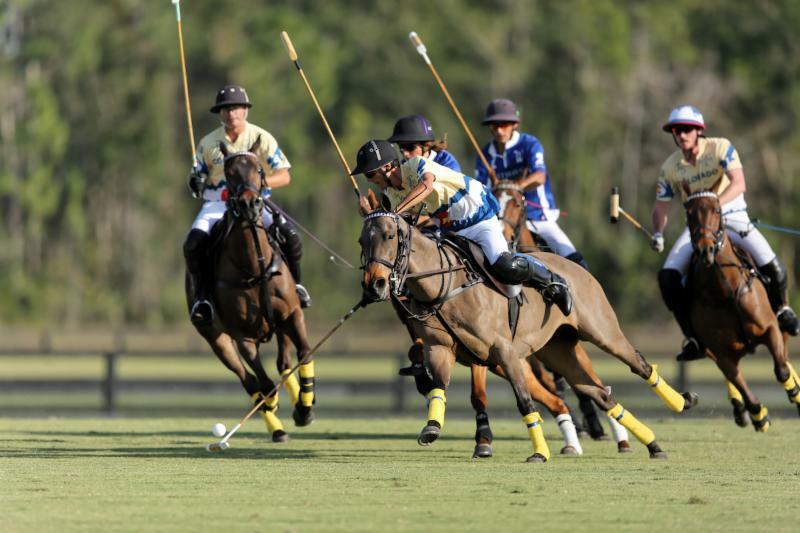 The WPL will fill the void created when the U.S. Polo Association, the sport’s governing body, announced it was lowering high goal polo to 18-22 goals at International Polo Club. 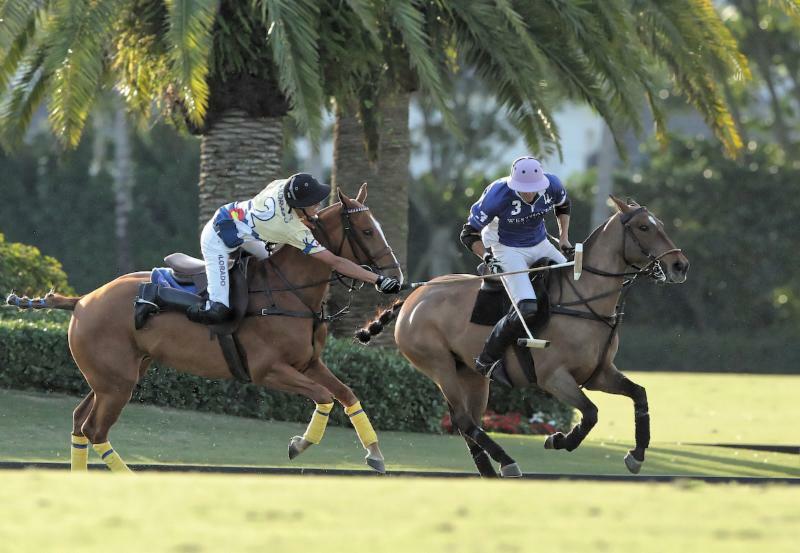 The former 26-goal polo tournaments C.V. Whitney Cup, USPA Gold Cup and U.S. Open are now the Gauntlet of Polo Series.